Rocket Matter Knowledge Base Office 365 Integration (Outlook Email, Calendaring, Word and Powerpoint)How to enable and use Document Versioning with the Office 365 Word Integration. 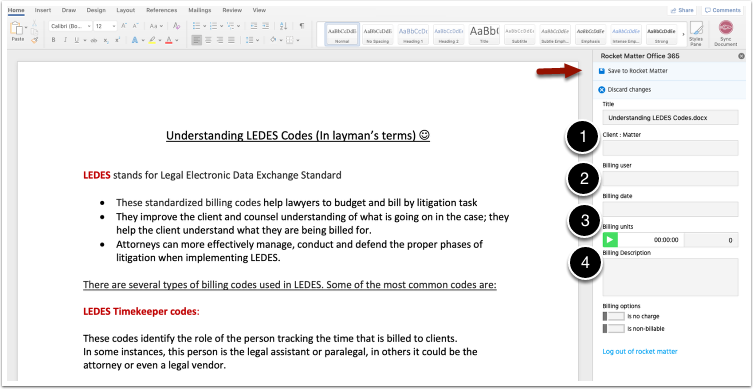 To allow lawyers to work collaboratively with the Rocket Matter 365 Integration and Microsoft Word plug-in. Any documents uploaded from Office or Word will be versioned if enabled. 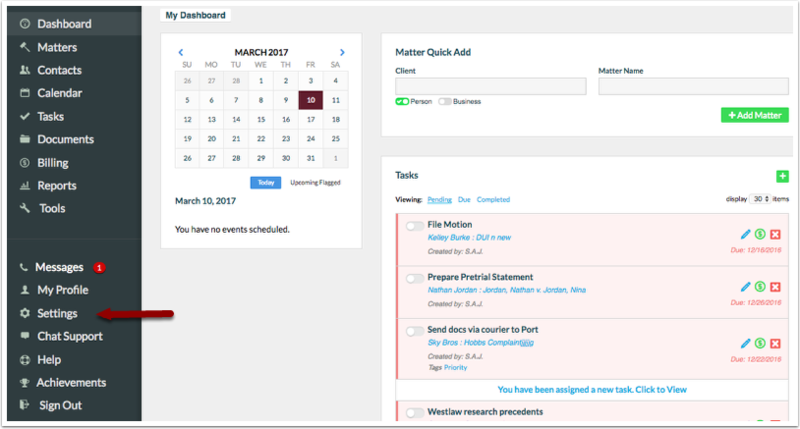 This feature alone is a significant improvement in Rocket Matter's document storage and organization capabilities. 3. Install the Rocket Matter plug-in. Click on 'Insert' and then 'My Add-Ins'. Search for Rocket Matter and install. 4. Once installed, you will see the Rocket Matter Icon in your home page tool bar. Click on the icon to open the plug-in and sign into Rocket Matter with your Rocket Matter username and password. 5. 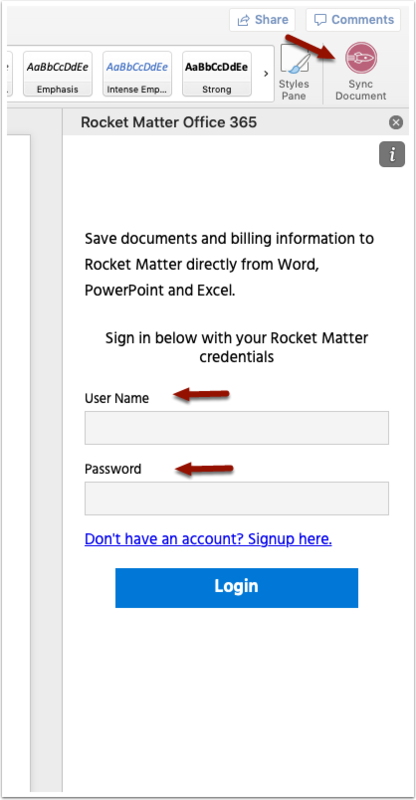 Save your Word document when complete and enter the additional information into the Rocket Matter plug-in ( Matter name, billing user, billing date and description if applicable). Click 'Save to Rocket Matter' at the top of your screen to send to Rocket Matter. 6. 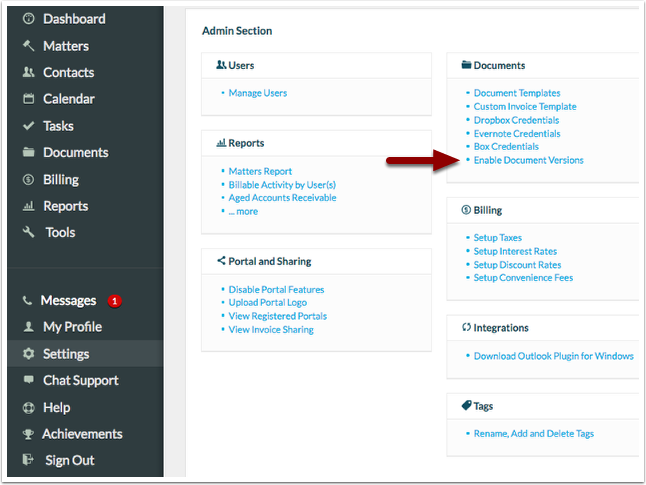 Once your document is in Rocket Matter, click on the drop-down 'actions' tab to move, bill, delete, download or view versions. 7. You will be able to effortlessly view and open any version, click on the blue box icon to open document. Click 'Ok' to close window.